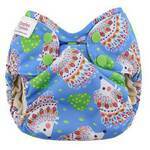 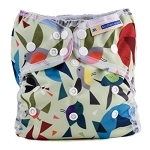 All in one cloth nappies are very easy to use they are most like a disposable nappy except you wash it and reuse it. 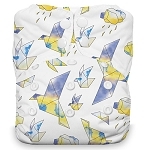 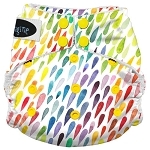 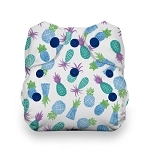 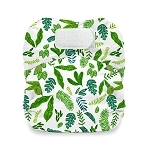 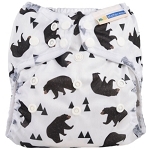 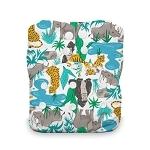 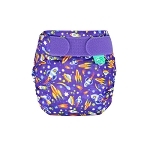 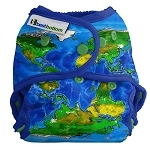 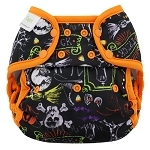 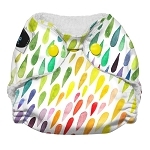 The feature a waterproof outer to stop leaks and keep cloths dry, inside the nappy is absorbant material such as bamboo, organic cotton, hemp, or micro fibre. 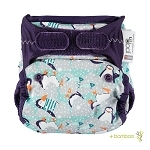 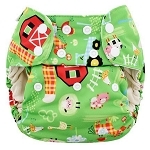 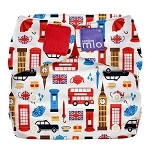 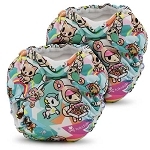 Some all in one nappies such as the tots bots binky and bambino mio solo have a pocket at the back so that extra absorbancy can be added, other nappies can be boosted by lying a booster inside the nappy. 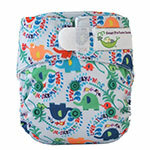 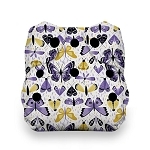 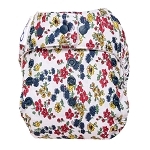 As they are so easy to use they are ideal for childcare and quick nappy changes. 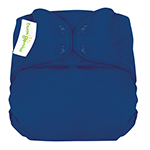 All in one nappies are also known as a AIO.